As a cooperative, ASTAC is managed in part, by the voice of the people it services – co-op members. In a Cooperative, those with similar needs act together and pool their resources for mutual gain. But the returns are not just monetary. Members ensure that their Cooperative business provides the best quality products and services at the lowest possible cost. Members control their business through participation in their Cooperative; your voice is important, and is heard at every membership meeting. And because we are committed to serving our membership as our partners, we strive to serve each and every one of you with the respect, dignity and efficiency that you deserve. ASTAC provides high quality and reliable service by having local management, customer service and technicians available to respond quickly and efficiently in the locations we serve. ASTAC reinvests earnings into high-quality new services. 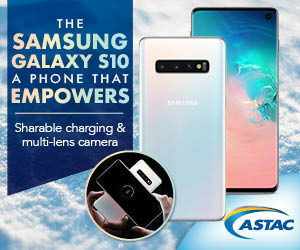 In 2017, ASTAC launched a Home Internet10 service in some of the residential markets it serves. Additionally several wireless sites were upgraded to LTE with many more on the way. 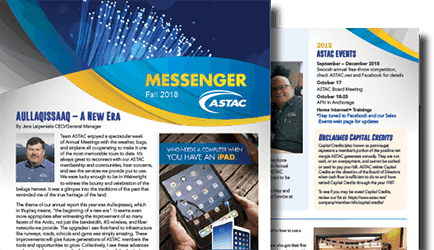 In 2016, ASTAC upgraded its entire wireless network to 4G across the North Slope. As new services are adopted by the membership, revenues have continued to grow. Capital credits are being allocated to our members when we have a positive tax net income.